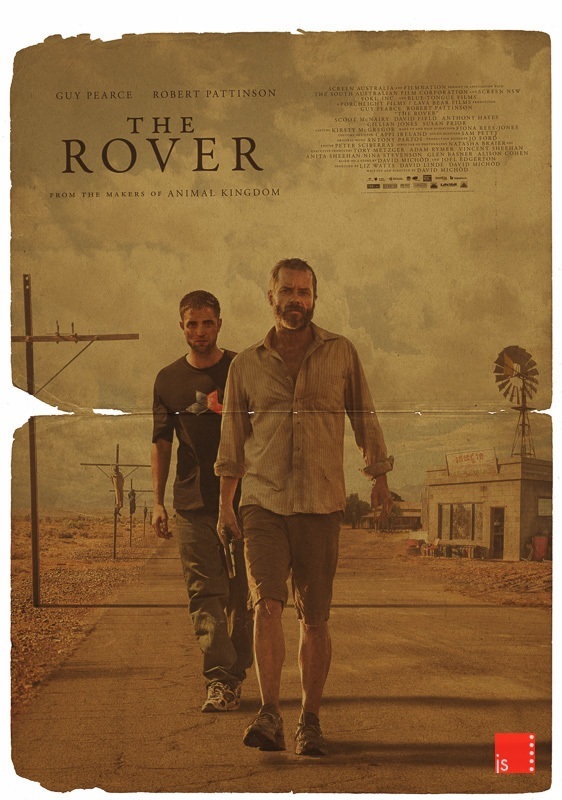 A lot of posters and other media have come out along with The Rover movie and now we can read about the process used by Jeremy Saunders. He revealed on his website his whole process from the start to the movies premiere. After I visited Column5 Media I realized that it takes several creative media sources to put together the whole package for a movie. With the huge impact of online social media its not just movie posters that bring people into the theaters. Column 5 shared with me their input in the movie with the website they developed and posters, money and other items they made for the movie. It looks as though Jeremy Saunders worked on the actual images for the posters to be distributed. He also talks of how he also used the colors of the landscape. I have included a few pieces of his work and you can read and see the others on his website. Really gorgeous work with Guy Pearce and Robert Pattinson. 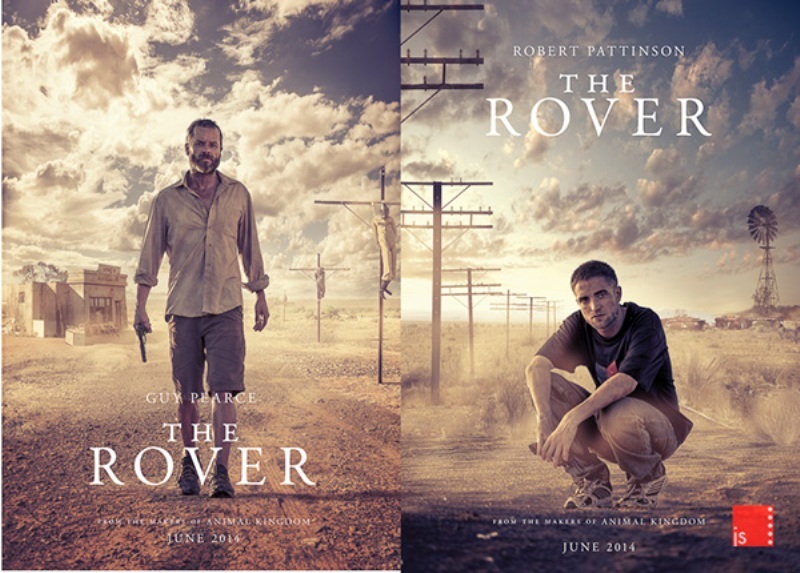 I got involved with The Rover from the beginning of pre-production and had sent some detailed instructions to the producers about the kinds of shots I thought would be useful to use in the final key art. This is always a bit tricky before the film has even shot – I’m relying heavily on scripts which however well-written aren’t necessarily great in terms of defining tone or mood. And David’s script for the film (as with the film itself) is spare and unwilling to greatly expand on detail. So I took his phrase “It’s kind of a western, love story thing” at its word and requested some kind of western kind of love story images from the gallery photographer (the very good John Tsiavis). Time to case about looking for some inspiration. 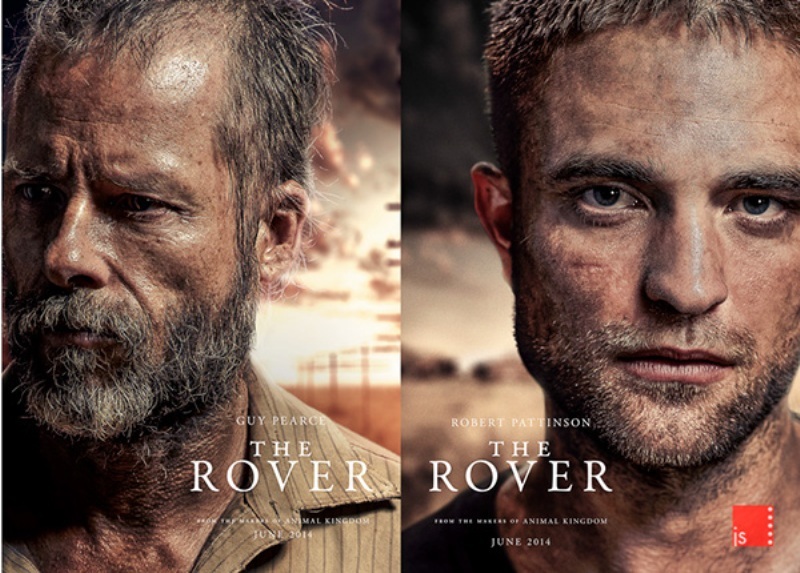 While it’s always tempting (to me) to go as far away from actors’ heads as possible, you aren’t really allowed to have Rob Pattinson in a movie and not have his face on the poster. It’s actually illegal in most countries. 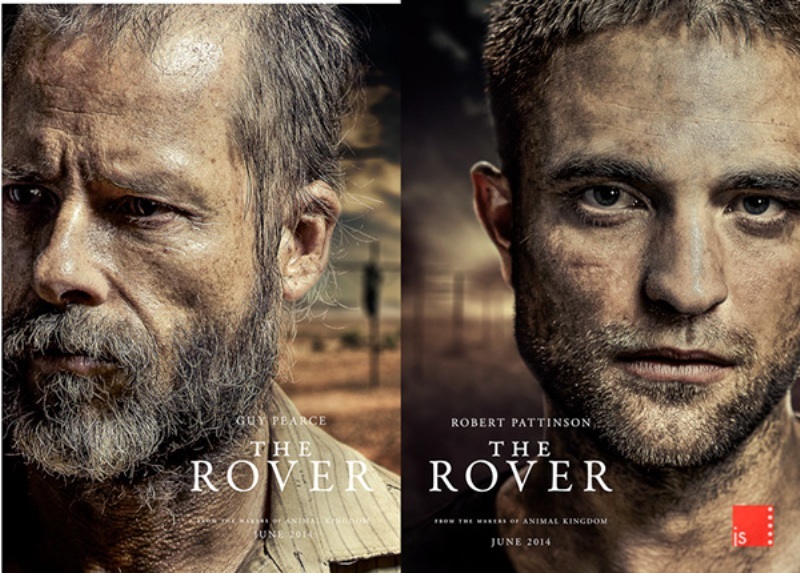 The basic idea with the ‘head shots’ are to make Robert’s character the direct entry into the film – he’s as close to an innocent in the world as it’s possible to get and his guileless, direct stare is in contrast to Eric’s unknowable avoidance of gaze. The colours are so far mostly kind of dreary – this comes from only having seen ungraded footage where everything was pretty grey and drab. After a number of asserrtions from Liz and David that, actually, it did look quite beautiful really, I decided to go back to my normal modus operandi of using all the colours at the same time. 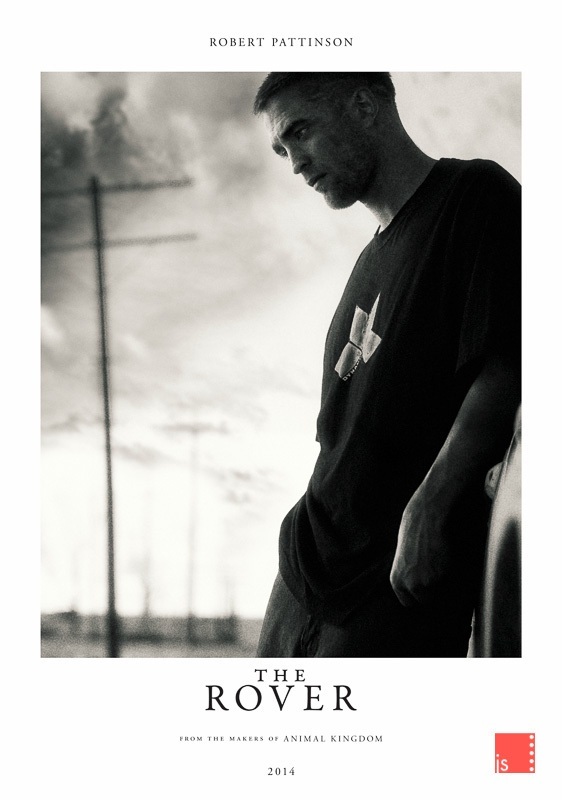 The request came through to put Rob in the background of Guy’s poster. And suddenly, this became the release poster here in Australia. I don’t mind admitting I was pretty disappointed. I’m never really convinced that this type of poster tells you anything about the film other than who’s in it. But time was against us and the client is always right. This was my delivered file which was re-graded and used as the release poster. 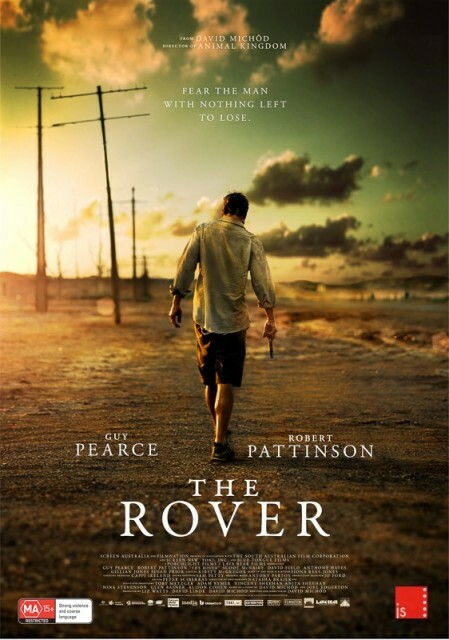 And finally, almost out of nowhere, this appeared and was used as the teaser poster in Australia. It does admittedly belong to that cliche of the protagonist-with-his-back-to-us-poster but if there’s a protagonist who deserves that poster, it’s this man, and it’s this movie. I think it works rather well. David Michôd said this was his favourite artwork for the film, and that’s a pretty good note to sign off on.